This section has been quiet so here's this. John Titor appeared on the Internet back in November 2, 2000. He claimed to be a time traveler from the year 2036 who needed to fetch an IBM 5100 because of its hidden function to debug and emulate code between various programming languages. He was a soldier who was tasked with obtaining necessary equipment from the past. He went back to 1975 to get an IBM 5100 and then stopped by 2000 for "personal reasons". He stopped posting in March 2001 and was never heard from again. Knew about hidden functions of the IBM 5100. No consumer at the time knew about its hidden functions. IBM kept it a secret fearing that competitors would abuse its ability to debug and emulate programming languages. Titor claimed he needed one in the future because of the 2038 UNIX timeout - which is a real thing. Titor's explanation of how time travel works first contradicted Hawking's interpretation of Hawking's Radiation and the nature of black holes. But after Titor vanished, Hawking changed his theories in 2004, which became more in line with Titor's explanation. Most people believe he was simply a well-informed individual, either a computer science expert or IBM employee, who went out of his way for an elaborate hoax. Others, of course, believe there's credence to his tale. 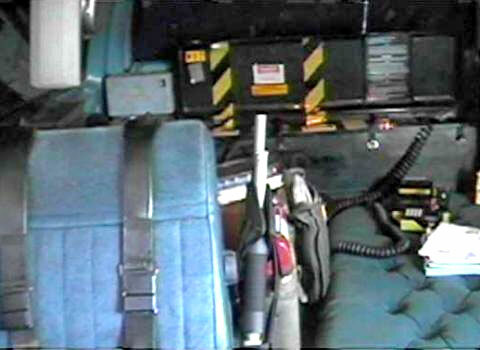 There also seems to be some confusion as to whether John Titor was the same unknown self-proclaimed time traveler who faxed Art Bell on his radio show back in 1998. Art Bell was a broadcaster who hosted a radio show late at night about paranormal events and conspiracy theories. These Internet posts by John Titor in 2000 - 2001 were on an Art Bell forum. I'll believe it when someone makes an unambiguous and specific prediction that comes exactly true. Bonus points for actually preventing a disaster no one saw coming instead of just vaguely hinting at them. ^That one has to be difficult. Heroic Guy: I prevented the apocalypse! Heroic Guy: You know, the apocalypse? Rando #2: Is there supposed to be an apocalypse? Because I don't see any apocalypse here, fella. This is a Dairy Queen. I came here for a Blizzard. Heroic Guy: No, no, there was going to be an apocalypse, but then I prevented it. Rando: Well, that was nice of you, but you must realise that that is an extraordinarily easy thing to claim, and a difficult thing to prove. Heroic Guy: I did do it, I swear! There was a crazy 'Mad Max' apocalypse, I mean it! I mean it. Rando #2:...you know, if you want a Blizzard, or a Mr. Misty, or something, you could just ask. I'll buy you one, friend. And I tell you what, just oncet I'll listen to whatever bullcrap you want to try and peddle in the meantime. I don't got any plans this afternoon. Noosir. Heroic Guy:...I want a Strawberry Cheesequake. (*cough*) l I mean, do those even exist in this crazy non-apocalyptic timeline? Rando #2: Sure. Say, you're the Petersen boy, aren't you? Would you mind taking your ma the bulletin? I noticed she wasn't at mass on sunday, and I got an extra in the car--------me and the wife both grabbed one by mistake, yah. What can ya do. ...and thus the anarchic dystopia never came to Sheboygan, the way 'Fallout' said it would. You'd think he'd a have a decent quality camera. Hmmm. I don't remember making ^^this post at all. Having all these nine/ten-hours right in a row is making me fray a little, man. Maybe your future self made that post and sent it back in time. If I thought my future self was going to be the exact same kind of insufferable bloviating moron that I am now, I would get out the old fastback and vivisect myself, in an heroic effort to prevent the most horrible future imaginable to man. I might be out of the loop, but I learned about this story because of Steins;Gate, and had to dig into it the first time I saw that being mentioned on a forum to understand that it did actually NOT originate from the anime or visual novel... This may be because I had an Internet access only rather late in life, since I lived in the countryside as a kid and teen. Anyway, the predictions that became true could have been lucky bets and/or something a smart, well documented individual could come up with; China sending a man into space was nowhere near surprising when you're looking at their technological boom, everyone but Fox News fans knew there were no WMDs in Iraq, and let's say that he knew about the IBM 5100 because he had one in his life and explored it through and through. But hell, what do we know, maybe he's a legit time traveler and his experience and influence helped prevent the 2004 US Civil war, mad cow pandemia etc because he studied the origins of the issues and informed people who could prevent it lol. And with the Crimea events, a 2015 nuclear war wasn't this much of a crazy claim! ^Same, kinda. I just wish I had been there to ask him stuff myself. I want to actually come across one of these strange, unexplained people/events.